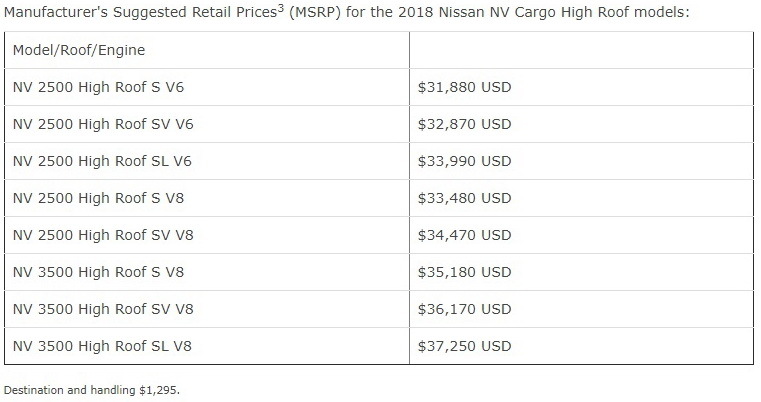 Nissan has announced pricing details on its 2018 NV Cargo and Passenger vans which now are enhanced with more tech features. 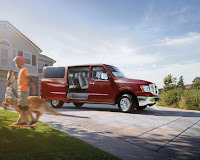 The differences are small but are expected to make everyday life with the 2018 Nissan NV easier: new models now come with features like a standard rearview monitor and a 5.0-inch color display, a Bluetooth hands-free system, streaming audio via Bluetooth, a hands-free text messaging assistant, and a USB connection port for iPods and other compatible devices. Powertrain options still include the entry-level 261hp 4.0-liter V6 paired to a five-speed automatic transmission and the 375hp 5.6-liter V8 mated to a heavy-duty seven-speed automatic unit. 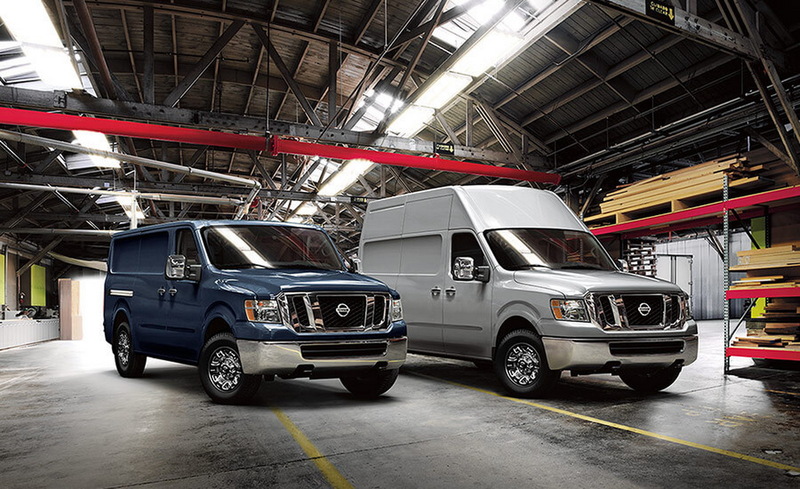 All 2018 NV Cargo and Passenger vans are covered by a bumper-to-bumper warranty of 5 years/100,000 miles. 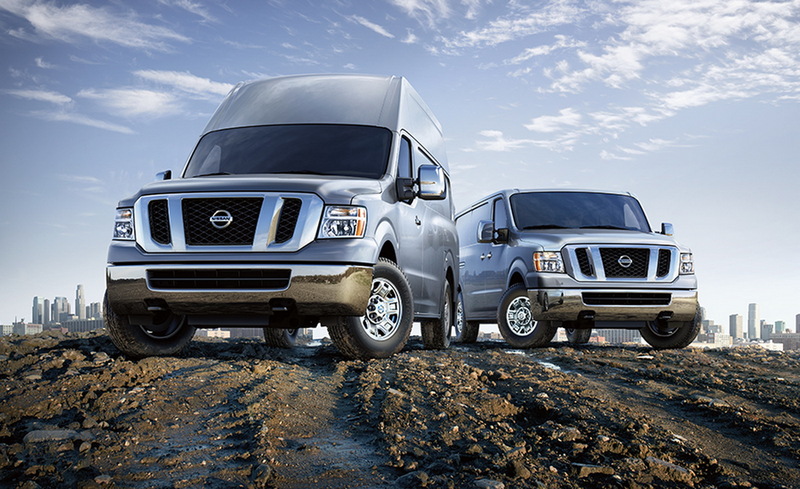 The Cargo version is offered in three models -NV1500, NV2500 HD and NV3500 HD- and in two roof configurations -standard and high-roof. 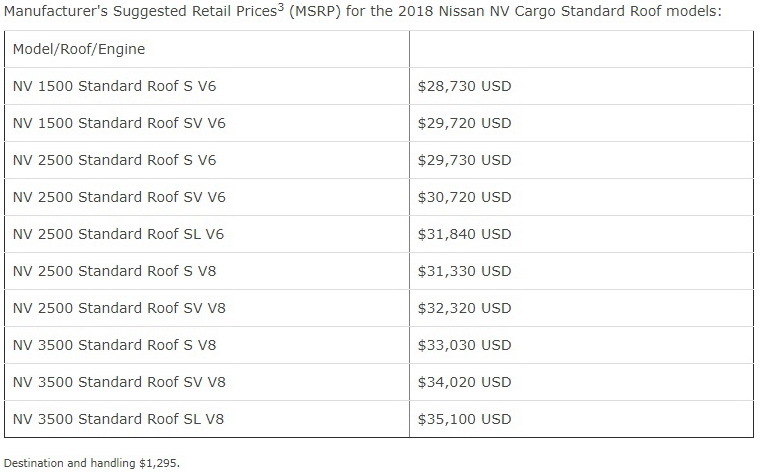 Prices start at $30,025 (inc. destination and handling fee), which makes it $1,100 more expensive than last year’s model. 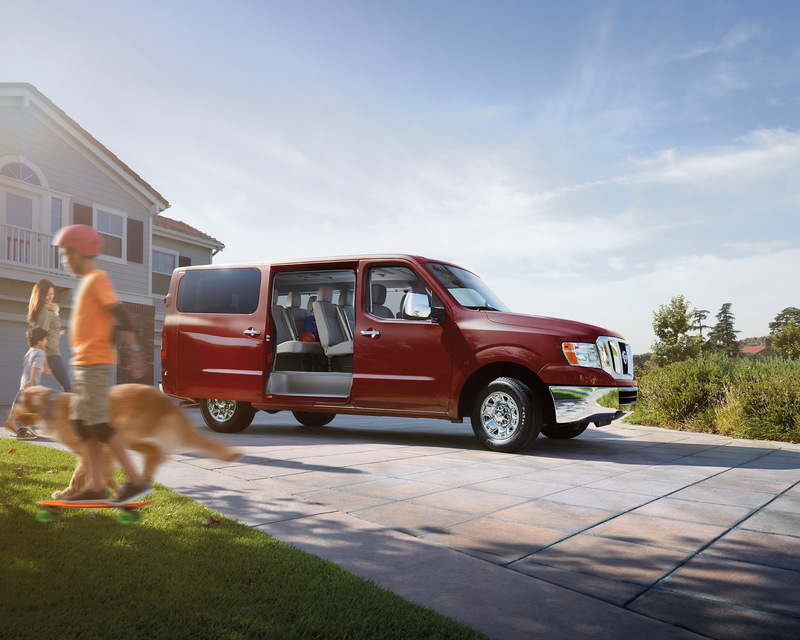 As for the 2018 NV3500 HD Passenger van, it still offers four rows of seating for up to 12 passengers, making ideal for both personal and fleet use. There are plenty of seating configurations for every need as well as roof-mounted supplemental airbags in case of a side impact. Pricing for the Passenger model starts at $35,050 for the V6-powered model. 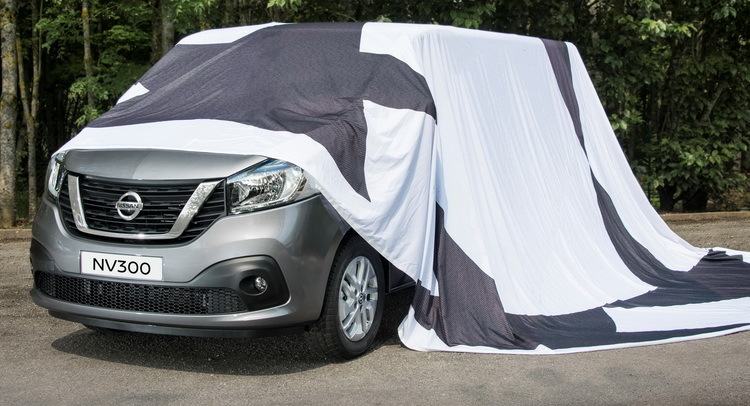 Nissan's new NV300 van, the successor to the highly popular Primastar, has arrived at dealerships across the UK, with prices ranging from £21,300 for the Panel van to £29,370 for the Combi model. 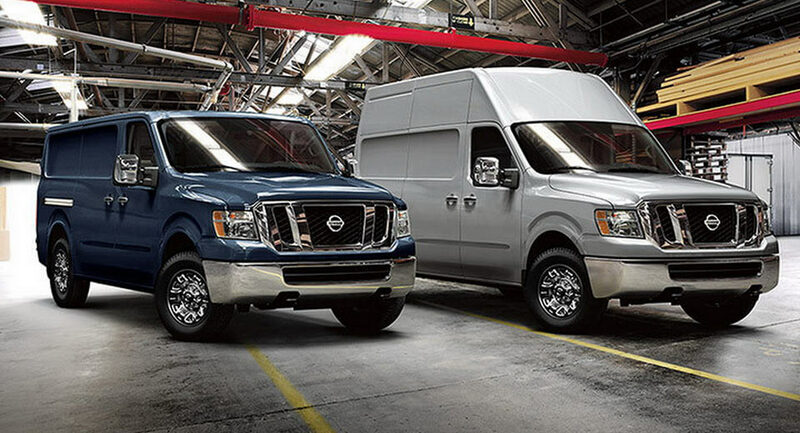 Just as promised, Nissan rolled in to the IAA Commercial Vehicles show in Hannover, Germany, with a new mid-range van. Called the NV300, it replaces the old Primastar and slots in between the smaller NV200 and the larger NV400. Nissan has released the first official image of their all-new NV300, a mid-sized van which will replace the Primastar in their LCV range. 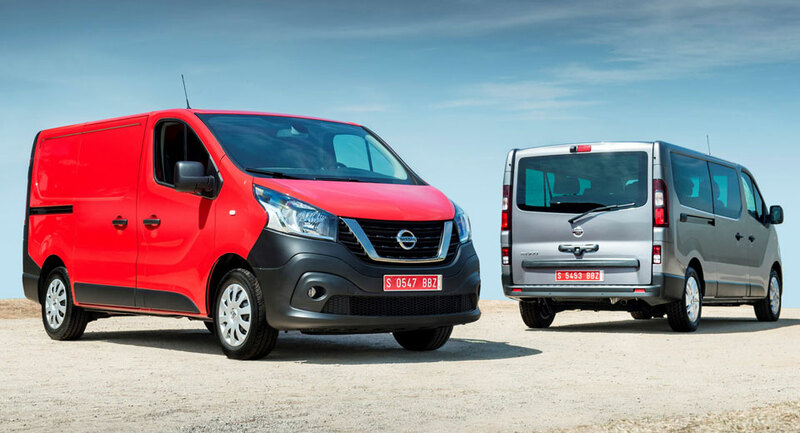 A new mid-sized van that will slot between the NV200 and NV400 has been confirmed by Nissan, as the firm will expand its Light Commercial Vehicle range.